Hive Beetles are fast becoming a major pest to anyone who keeps bees. Wax moths and Varroa mites have caused their share of damage over the years but this new pest, another import not native to the United States, seems to be of particular concern. Confirmed as being established since 1998, this beetle is now found in many states. If you keep bees, add the Small Hive Beetle to your list of “insect enemies”. Hive beetles are largely scavengers that are drawn to honey and pollen. Bees and bee keeping equipment have both such attractants so they act as a magnet to any foraging adult hive beetles. Adult beetles can fly and will seek out food on which they can feed and lay eggs. They are small, about 1/4″ long, with flat bodies. They appear dark brown, nearly black, to the naked eye. Adult females will start laying eggs within a week of emerging from their pupae. Eggs will be laid in cracks and crevices of hives and bee keeping equipment. In a few days, these eggs will hatch and larva will emerge and immediately begin feeding. If they have a good food supply, they’ll mature in 2-3 weeks and migrate out and off of equipment and host hives. They’ll seek soil; larvae need the ground in which to pupate and become adults. Metamorphosis will last 3-4 weeks and adults will arise from the ground seeking food and nest sites to renew this cycle. Adults can live at least 6 months and it is commonly believed that 5-7 generations of hive beetles can cycle annually. In Africa, hive beetles aren’t much of a problem. In fact, there are at least two species; “small hive beetles” and “larger hive beetles”. Data shows these species tend to attack weakened bee colonies and are thus thought of as secondary pests. It could be that healthy bee colonies are absconding and thus don’t fall victim to the invasion but nevertheless, that doesn’t seem to be the case here in the states. Currently the species identified in the United States is the “small hive beetle” and it seems to successfully infest any bee colony it finds. It most likely has something to do with it’s newness to the land; behavioral patterns of the bees here in the States, along with a whole set of different climatic influences, are undoubtedly at work. Over time a detectable pattern may evolve but it’s too soon to tell right now. The one common thread, when it comes to the hive beetle, is quick reproduction and quick colony destruction. For this reason, anyone who keeps bees should watch for this pest and take corrective measures sooner rather than later. Hive beetle damage takes place during their scavenging once they find their way into a bee colony. Adult hive beetles can seemingly coexist with bees. But the actions of the beetles seem to trigger a series of events which ultimately doom the bees; the threat of the hive beetle presence isn’t acknowledged and largely ignored. Since adults seek pollen and honey, they’ll forage throughout the hive causing damage as they go. Newly formed combs are prime targets and once opened, become vulnerable. Hive beetles defecate continuously and once the honey in a comb is contaminated, it will ferment and bubble all over. This frothy brown honey has a strong citrus odor and will accumulate at the bottom board. Along the way, female hive beetles will be laying eggs in every crack and crevice they find. Hatching larvae will start to feed and can be found throughout the hive. Adults will be feeding on just about anything including their own eggs, young and even bee eggs. Emerging and migrating larvae ready to pupate will leave dark lines or streaks along the outside of hives. These are all tell tale signs of local infestations and should not be ignored. Unfortunately, there is no one “magic bullet” when it comes to hive beetle control. Since they are new to the region, at this time there are limited products which list hive beetles on the label. CheckMite+, mostly used for Varroa Mite control, has been found to help. In many states, hive beetles have been temporarily added to the label so that bee keepers can employ this product directly to the hive. But for anyone that doesn’t want to invade bee hives directly with pesticides, there are other less invasive options. First, it’s important that all equipment be cleaned and treated. Hive beetle eggs, larva and adults will thrive on equipment left alone and untidy. Bee houses are commonly infested since scavenging adults don’t discriminate where they nest. In other words, you must think “outside the hive” when it comes to hive beetles. Some keepers have resorted to what they call “fumigation” but really what they are doing is a type of fogging or misting. Fortunately, hive beetles are easy to kill. Both adults and larvae are susceptible to most any pesticide. The secret here is that you don’t want to use something which leaves residual! Such products could ultimately impact your hives so be sure to limit your product choices to products which are pyrethrin based. If you have a small bee house, storage shed or some equipment you want to treat, something like PT-565XLO will prove safe and effective. It uses pyrethrin as the active and though pyrethrin works as a contact kill when you apply it, within a short time it will dissipate. Outside treatments will barely last a minute or two. Inside bee houses, it will probably remain active for an hour or two at most. 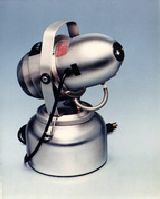 PT-565 can be directly sprayed on equipment or into air spaces for volumetric treatments. It will knock out Varroa Mites and Wax Moths too but remember, bees don’t like it so don’t use it around hives. If you wish to apply pyrethrin in a more controlled manner, get EXCITER. This pyrethrin concentrate mixes with water and can be applied with one of our SPRAYERS. Exciter will provide a quick knockdown of hive beetles but again, being that it’s pyrethrin, it won’t last long so its OK to use where bees might be active. It can also be applied in a fogging machine if you have large bee houses or storage sheds that need to be fogged from time to time. 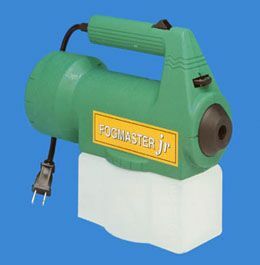 For most applications, our MINI-FOGGER will do the job but a larger machine might be needed for big areas in excess of 5000 sq/ft. The FM6309 and FM6208 are better suited for this. Another area that should be treated is the soil surrounding the hives. Since mature larvae will forage out of hives and down into the ground, many people feel this is the best way to approach the problem and insure they don’t get well established. Clearly treating the soil with a residual pesticide should make for certain death to any foraging larvae. Remember, something like Exciter wouldn’t be the best choice for this area. The pyrethrin would be active when applied but within a short while – just an hour or so – it would break down and loose it’s effectiveness. For this reason you need something that provides residual. The most common product for this is known as PERMETHRIN SFR. Apply it using a low pressure sprayer coating the ground and turf under the hives. PermSFR can be tank mixed and sprayed on buildings and other areas outside where hive beetles might be active but where bees don’t normally go. It’s important to understand that if your bees land on treated surfaces, they will pick up the treatment and succumb to the Permethrin so don’t spray where you know they land. Another material that uses Bifenthrin as the active ingredient is a mild granule called BIFEN GRANULES. This material can be sprinkled out in the turf under hives once a month and will provide protection against foraging larvae. It’s very mild and not cost effective compared to the PermSFR but it will work fine for small areas. Now whether you choose the Permethrin SFR or the Bifen Granules to apply, it’s important you don’t put your bees at risk. To insure their safety, don’t directly treat the ground directly under them unless you remove the hives during the treatment. You can treat other parts of the yard without removing the hives but keep a space of at least 10 feet between any hive and any area you’re treating insure you don’t accidentally spray or hive or contaminate them somehow. Now for when you want to treat the areas directly under the hives, it would be wise to first remove the hives from the area. Once relocated, you can apply granules or spray Permethrin SFR over the turf and allow it to sit for at least 4 hours before bringing the hives back. Waiting this long ensures the applications will have ample set up time and not pose any kind of aerial threat tot he hives but again, if the bees typically land on the areas you treated, they will be vulnerable to the application as well so keep this mind before you treat. 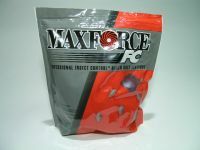 One last approach that has been found to be highly effective is the use of ROACH BAIT STATIONS. These bait stations have long been used inside homes for controlling german cockroaches. The lure used in these stations seems to be highly attractive to small hive beetles. When placed outside hives, foraging adult beetles will readily find them. They will quickly die, usually within a day, after feeding. The stations don’t seem to attract bees but the beetles definitely love them. Remember, these stations aren’t made to be used outside so sheltering them on the bottom side of hives is suggested. This will help protect them from direct sunshine and rain. And don’t forget to replace the stations as needed since large beetle populations can empty a station within a week. Hive beetles may be new to America but their foraging, scavenging and nesting alongside any bee colony will have devastating consequences. If you want to keep your colony alive and kicking, don’t allow this pest to get established. Soil treating under hives as well as preventive baiting can help. And if you have current activity, hive relocation and equipment treatment might be required. Remember, failure to address any population will lead to a reduction in honey production as well as jeopardize the wellness of your bees. I am going to try the roach bait stations. I had honey bees in my wall of my home which the beekeeper was able to get them out for me but a week or so later the living room ceiling which is under the room that had the bees in them started dropping the small hive beetle larvae. I have a one year old baby in my house who now has to live somewhere else until I get rid of this problem so I hope this works. I have been battling the bees and these larvae since April and I am emotionally drained because of it. Get the bait stations up as close as possible to where the nest was previously located and if there are active hive beetles, they’ll find them. In some cases the hive beetles can take a bit to start feeding. This is especially true if there is still a lot of old food left from the honey bee nest. But at some point they’ll find the stations and when they do, they’ll focus on them which in turn will kill their entire colony. Would putting the roach traps inside the bee hive harm the bees? I need to know asap. Can’t say for sure which is why we don’t recommend trying. That being said, we do know the bees can’t access the bait and they won’t be interested in eating any so in theory, it shouldn’t be a concern. But if you keep the bait inside the hive, you could end up attracting more hive beetles inside which is counterproductive. I say this because once inside, they might forget they were there for the bait and do more of the damage you’re trying to avoid. For this reason, we believe keeping them just outside the hive is the best way to “intercept” the beetles before they get any further. I have four hives occupying a total of 25 sq. ft. of ground which is surrounded by grass in front of the hives and woods to the sides and back of them. To what distance from each side of the hives should the bifenthrin granules be applied and at what concentration? Secondly, at what distances from the infested hives can one consider the pupae are absent thereby needing no treatment? In theory, there should be no danger to the hives from the treatment if your hives are elevated like most bee keepers will do. So if they’re a foot or two off the ground, there should be no exposure to them at any time. Now in the rare event that you know your bees like to spend time on the ground under the hives, then obviously you would want to keep those areas untreated. But if the bees don’t generally contact the soil around the hives, treating it should not pose any kind of problem. Now remember that hive beetles will feed on so many things found on turf so you don’t want to limit your treatment to just around the hives. Instead, think about covering a larger area. Say 500-1000 sq/ft just be safe. And plan on retreating monthly to keep the area pest free. Not exactly sure what you’re asking in the second question but the one thing we know about hive beetles is that the larvae will forage out and and pupate away from they were born and fed. In most cases this journey will take them around 5-10 feet of that first food source. And since they can eat most anything, there will no doubt be a lot of food options in and around the hives which is why you want to treat as much of the area as possible. The net result of creating this “safe zone” is that in the end, the further away any hive beetle larvae are feeding from your hives the better. We just extracted our honey and noticed a couple of hive beetles. Should we treat the hive this late in the season or not? No doubt the bees will slow up as the cooler temps arrive. But hive beetles are quite hardy and will remain active even as the temps drop. And since the bait station treatment listed above isn’t affected by the cold, it would be smart to take care of them now instead of letting it sit till the spring. Ok thanks we will put the bait in today. We use two hive bodies – would it make any difference which one we put them in? Since there is only two; no. Is there a recommendation as to whether bifen granules or permethrin are better? And if permethrin is used with a sprayer application, can the spray be carefully applied right up to and under the hive? Thanks. Either active will provide similar results. The key here is to make subtle applications being careful not to get either material airborne to insure you don’t contaminate the hive. So in both cases, if the bees aren’t landing on the treated surfaces, the applications can be made to the turf under and surrounding the hives but there are some safeguards to follow. First, as our article explains, you shouldn’t treat the turf directly under the hives with the hives present. Now you can treat around the hives with the hives still there, staying at least 10 feet clear of them, but to treat directly underneath them you should first relocate the hives to a safe area. Second, when treating and the hives are present, don’t spray using high spray pressure. Low pressure means the spray will stay where you aim it thus avoiding any misting up and contaminating the hives. Third, don’t treat if there is any amount of wind or breeze and the hives are present. Again, spray mist or granule dust can carry in the wind and contaminate the hives. Follow these suggestions and you can safely treat the ground without putting your hives to any undue risk or danger. And in the process, protect them from the highly parasitic hive beetle. Can bait stations potentially have the unintended effect of actually attracting hive beetles to the hive? No. The stations have a food bait with an “attractive” range of 20-25 feet. But since the bees and their natural pheromones and scents can lure hive beetles from miles away, it’s clearly what gets them to come around. Now once the hungry hive beetles arrive, the lure of the bait station will no doubt get their attention and in the end, lead to their demise. I have reason to believe that a bug I have in my home is a hive beetle though there is not a beehive anywhere near my home. Is it effective to use the Roach Bait Station inside a home to rid the pest. These bugs seek the night light and die there. Is that a clue as to whether they are actually a hive beetle? Hive beetles are known to be attracted to lights so what you’re finding could be this pest. And if there was ever a bee nest just outside your home, this could be what attracted them to the area in the first place. Also, as explained in our article above, hive beetles feed on pollen. That means if you have a lot flowers inside the home or just outside the house in the landscape, those flowers could very well be drawing them to the home. And once they start hanging our just outside the house, it would be just a matter of time before some started nesting and getting inside. To remedy the problem, there are a few things you can do. First, inside the home you can set out the roach bait stations throughout the structure. Don’t set them out in the room where you see them. Basically get all rooms as well as any attic spaces, crawl spaces, etc. Since these stations work so well, any hive beetles foraging inside will surely find the bait, feed and die. This should be all you need to do to keep them under control inside the structure. However, if you don’t do any treating outside the house, the problem will persist. So to prevent more from entering the home, you should treat all the flowers, shrubs and bushes that surround the structure with some Cyonara RTS or Bug Patrol. Either will control hive beetles and be safe for use in these areas. Cyonara will last a good month per treatment and is the stronger option; Bug Patrol would be the organic option and will only last 2-3 weeks per treatment. 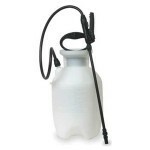 Both are used by hooking them to the garden hose and spraying over the target area. In this case, that would be the vegetation and the siding of the home itself. We just bought and moved into a townhouse three months ago and four days ago I found larvae coming through the base boards of the house from a specific corner and on the second floor coming from the same side of the wall. I don’t know how I came to the the conclusion but researching online and observing things I put two and two together. On the outside of the house on that corner we had bees. The day we saw the bees it was a huge ball of them. The following day the size had gone down more than half (which I was told that if they had not been sprayed it could be that the bees were sick). About 12 days later the larvae started coming in, we even had a few come through around the ac vent on the first floor. We had someone come and fumigate the inside and outside of the house including the windows and they actually sprayed the bees this time. The following day (yesterday) we had bee specialist come to see what they could do, unfortunately because the bees had been sprayed they told us they would not be able to locate the honeycomb unless they drilled holes in the wall because from the outside you do not see any honey comb. He said if it were him he would leave it alone and cover a small hole that you can see on the corner of the outside of the house by where the bees were unless the bees came back, that eventually the larvae would die or become beetles and then die off. The larvae does seem to be going down in numbers. When we wake up in the morning we see now about 4 downstairs and 5 upstairs. My question is when will this stop? Is there anything I can put inside the house to kill them how about outside? Are they going to come back? Now that the bees were sprayed will more larvae start to emerge? I can actually see the larvae drop (not in many numbers) outside from the second floor which the lizards are eating. PLEASE HELP in helping me get rid of this problem, I have a bit of a phobia with small insects. We’ve seen problems like this persist for months, even years. Basically it will depend on how much “food” is in the wall void. If the old nest is big, there could be enough food in there to last a year or more. To control the invasion, you’ll need to treat the wall void. Now since you’re not sure exactly where it might be located, drilling and treating sections, maybe 6-8 sq/ft at a time, would make most sense. Nests can be several sq/ft and you’ll need your treatment to cover the entire nest to insure there is no “good” food left for foraging hive beetles. Once you successfully treat the void, the problem will go away. As for what to use for the treatment; a dry dust is the easiest way to proceed. This would be “puffed” into small holes you’ll need to make. These holes only need be 1/4 inch and should be spaced out like a checkerboard with the space between holes being around 1 foot. So for a 4 foot by 4 foot section of wall, you’ll need 16 holes. Once treated, you can seal them up. The goal of the treatment is to contaminate any bee nest hidden inside the wall void as well as to kill off all the adult and larvae hive beetles that may be in the space nesting and feeding. The dust to use is Deltamethrin Dust and it can be applied with a Hand Duster. Treatments will last 6-12 months and if you cover 6-8 sq/ft where you suspect the nest might be hidden, there is a good chance you’ll knock out the problem immediately.